Featuring a golf course, Cambay Golf Resort is located 1 km from Ricco industrial area. It offers a traditional Indian spa and outdoor swimming pool. Free parking is provided. Resort Cambay is situated 35 km from Jaipur International Airport. 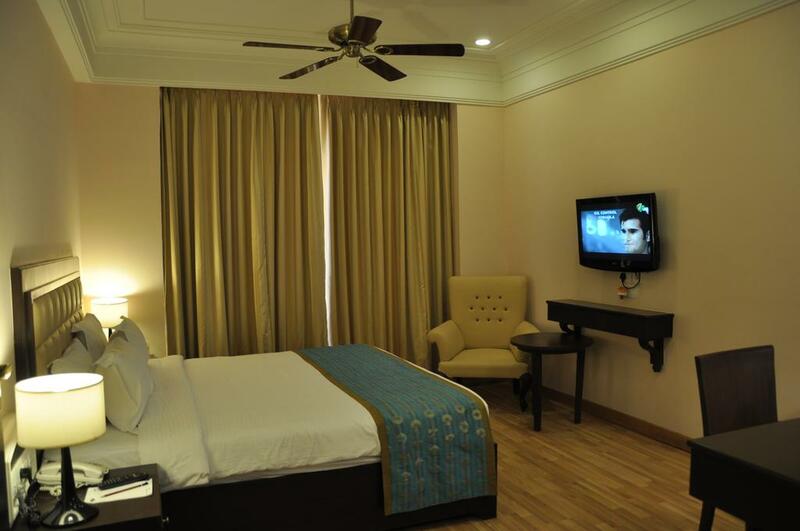 Modern rooms feature classic dark wood furnishings and come equipped with a flat-screen cable TV. Each provides views of the resort’s golf course. Tea and coffee making facilities are provided. Guests can relax in the hot tub or sauna, or head for the fitness centre for a work out. A business centre and tour desk is available. The hotel also provides currency exchange and car rental services. International cuisine can be enjoyed at Indus Restaurant. The hotel also houses a coffee shop and bar for light bites and drinks. Cambay Resort has been welcoming Booking.com guests since 26 Apr 2011.